Visually Fallout 76 looks awful, and it’s another clear reason why I think this game rushed. It’s unacceptable at this point that Bethesda can continue to release games that look a generation behind competitors. Fallout 76 is already outclassed by numerous open world games like Horizon Zero Dawn or even Assassin’s Creed Odyssey. Bethesda is no small company, and if they are going to be charging $60 for one of their flagship AAA key titles, then I expect the game to look like a AAA key title. Fallout 76 highlights all of these problems. 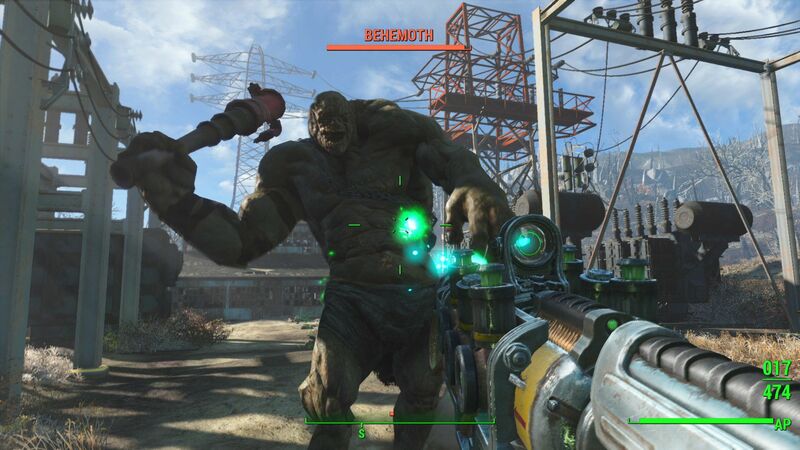 Fallout 4 also was not a looker, but back then we were still early on in this generation. 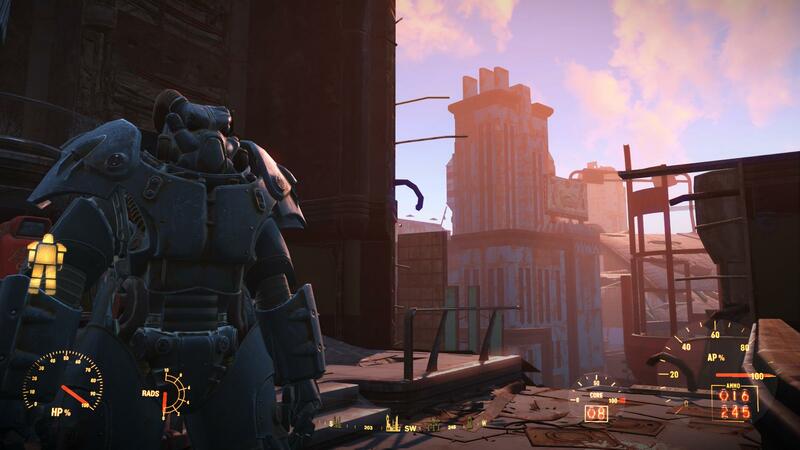 Now that beautiful and detailed open world games have come out Fallout has no place to be looking sloppy. Honestly, I’m not expecting much for The Elder Scrolls VI either. Bethesda needs to step it up when it comes to visuals. The visuals in Fallout 76 are incredibly inconsistent and the lighting is all over the place. At times the game would look quite nice, and most of the time it would look like horrendous. It’s just unsatisfactory to release an AAA game like this when other companies are doing better. Fallout 76 looks horrible, plays horribly and runs horribly. It’s one huge technical mess. Bethesda needs to ditch the engine or find a way to make it better asap because they cannot be going into the next generation like this. Fallout 76 runs horrendously on the PS4. The game is consistently dropping in frames and like I said before, a technical mess. Fallout 76 struggles to run at 30fps, and the whole online experience is just awful. Nothing has been improved since the beta. When I played the beta Fallout, 76 struggled to run at 30 frames and now, even in the full release the game is still struggling. It’s shocking that Bethesda managed to put out a game like this, genuinely surprising because it’s not something you would expect from a company of this size. Fallout 76 is glued with bugs and glitches. I’ve encountered numerous bugs and glitches and again this ruins the already terrible online experience. My game has crashed multiple times on the PS4, and it’s just frustrating overall. I haven’t tried out the game on the Xbox One or PC, so for all, I know this could be an exclusive PS4 problem but overall playing the game has been a struggle and a huge chore, and I’m almost at that point where I’m ready to toss this game out. Fallout 76 is not a fun game. The funny thing is Fallout 76 has a massive open world filled with absolutely nothing to do. It’s not like the open world is pretty, or there are beautiful sites here and there, or fun things to discover. Fallout 76 is like a repulsive piece of art or a busted skateboard. Basically what I’m trying to say is this game isn’t fun to play and it isn’t fun to look at. When I was playing with my friends, we always had to make up our own stories because of the lack of things to do. The enemies are extremely repetitive (If you even manage to land a hit on them) and the game becomes a massive slog after an hour. I felt I was doing things over and over again for the sake of it. Fallout 76 has a terrible combat system and it’s one Bethesda should ditch immediately. Striking enemies can be very unsatisfying, and the bugs and terrible fps can make it hard even to land a hit on an enemy. Sometimes enemies would teleport or do some random things because of the glitches. In general, there isn’t much to do in Fallout 76 at all. Overall Fallout 76 is an atrocious game that has tarnished the brand a little. There isn’t anything good about this game. It’s a mess, and I don’t know if it can be fixed. Maybe it can, but as of now, it’s just a huge mess. Dare I say that Fallout 76 is the worst game Bethesda has ever made, and things must go back to the basics. Not recommend at all. If you’re looking for a quick survival game, then try Ark (which isn’t great either), but it’s much cheaper than 76. 30+ Hours in and I’m enjoying it. Being able to finally build a base on survival game and not have trolls destroy it before your next log in. Sure the hit rating isn’t spot on, but it’s better than some game’s I’ve played. As for the Ark comment, that’s one bag of mess and has never gotten better. People moaning that it feels empty because the lack of NPC characters most never of played dayz or even The long dark. I’m playing it in the Xbox one X, it’s never crashed on me and only bug I’ve seen is a robot moving funny. Sure the company could of updated the firmware better. But I’m not one to moan about graphics or FPS. As for saying it’s one of the worst game’s of the year, are you seriously telling us you’ve played every AAA and indie title released this year ! Plenty of new enemies, 3 or 4 different factions, even better v.a.t.s system, a great story, 2 times more quests to do, many npcs to help and follow us, a better interface to display and read all those texts, a better resource manager system, cool particle effects, some big tough enemies and bosses, several dialog options a la mass effect series, and many other this to help improving the game. ..
and one day, i heard a new fallout game was coming. .. and i couldn’t be any more hyped. ..
i am so sad, so disappointed. I wanted to spend 200 hours in fallout 5… but that will not happen, for sure. Last week i had my birthday, and instead of fallout, i said i would like to play the spyro remaster ! Bethesda totally destroyed the franchise. All this because of. .. money, money, money. I just hope one thing: i hope all websites will give this mess less than a 5/10. i hope to websites like ign or GameSpot, followed by 50 million American gamers, will give fallout 76 the bad review it deserves, + a 6/10 or even lower ! nobody, no website, no journalist should give this game a ‘green card’, and give it a 8 or a 9, saying oh, i had a lot of fun playing with my friends, it was so amazing, bla bla bla’… because EVERYBODY KNOWS that’s not the car AT ALL ! but if course, the journalists and websites who have received a free review copy or have bethesda advertisings running in their website, will still give the game a 8 or a 9… BECAUSE they don’t want to hurt the studio, and don’t want bethesda to stop sending them free review copies, goodies, e3 invitations, merchs, etc etc. The only positive thing in this game is the 4 times bigger map. Besides that, everything else is super negative. Nothing works, nothing looks or plays well. Nothing is interesting. Everything is a flawed, rushed, unfinished mess. let’s see in one year from now, if there only are a few hundreds thousands online gamers, and nobody is buying craap… they will shut down their servers asap ! i thank and congratulate the website and the author for having the balls to give this huge POS the super low score it deserves ! If a reviewer or journalist gives fallout 76 a score higher than a 5 or 6/10, then, they aren’t serious or reliable as a gaming media. NOBODY should buy this game. NOBODY. 16 out of 100 is a pretty poor assessment of this game. The game isn’t awful. It’s not great, it has bugs, it’s different and absolutely highlights some of the worst parts of Fallout, but it’s still fun and enjoyable if you go into it without expecting it to be Fallout 5. Solo there’s a feeling of isolation and despair as you see the remnants of civilization and piece through the story as you fight off balancing hunger, thirst and radiation sickness. With friends, it becomes a fun, though somewhat casual experience of exploring, fighting with creatures and building up your base. I put it solidly in the 5-6 of 10 range. For the right person, it’s a fun time and worth playing. For the majority, probably something to pass on until they work out a few kinks and the price comes down.